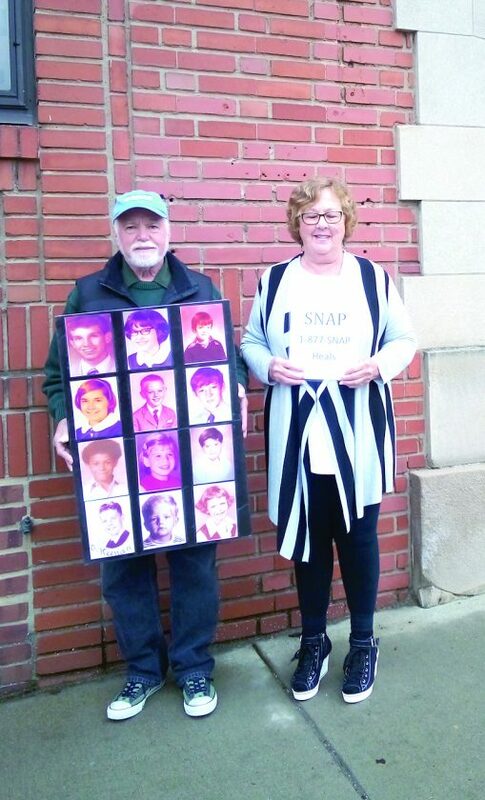 STEUBENVILLE — Two leaders from the Survivors of Those Abused by Priests Thursday held a protest outside the Diocese of Steubenville to question what they are calling “injustices” by the diocese. Judy Jones, the S.N.A.P. Midwest regional leader, and Steven Spaner, the S.N.A.P. 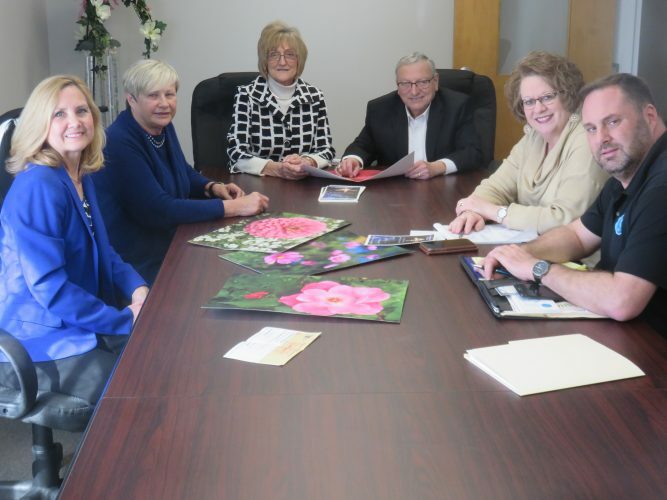 Australian volunteer coordinator, were in Jefferson County to bring attention to what they feel is in incomplete list of abusers and insensitive behavior by the diocese. S.N.A.P. claims that the list of abusive clergy members released by the diocese should include eight more names. Jones said that the absence of the eight names makes the victims feel abused again. Dino Orsatti, director of communications for the diocese, said the diocese feels it has been transparent with its list. Orsatti said that in some cases, the suspected abuser could still be under investigation. Until that is complete, he said they will not add the name, he said. The list released Oct. 31 by Bishop Jeffrey M. Monforton included the names of 16 priests and a seminarian who were credibly accused of or had admitted to sexual abuse of a minor during the past 74 years. S.N.A.P. claimed the Steubenville diocese is only one of three in the country that has a priest taking the calls of alleged victims of abuse. Currently, those calls are answered by the Rev. James M. Dunfee, vicar general, and then passed on to a review board. S.N.A.P. said this practice is insensitive to the callers and in some cases discourages the caller from reporting abuse. They are calling on the diocese to change this practice and replace Dunfee with a non-Catholic, licensed counselor. S.N.A.P. advises all victims to first contact law enforcement if they think they have been abused. Orsatti said Thursdaday’s protest was the first the diocese had been made aware that S.N.A.P. found that procedure to be an issue. He could not say if the diocese has plans to change the practice. Orsatti said that anyone who wants to get information about the review board can access the diocese website at www.diosteub.org. The site lists the members of the review board, the current list of accused priests and information about protecting children from abuse. S.N.A.P. also is hoping to get the attention of Ohio Attorney General Dave Yost. The group wants the state to remove the statute of limitations on sexual abuse cases so that more abusers will face prosecution. Orsatti agrees that all victims are the first priority in this case. “Our main concern is the victims,” he said.